Puntos Necesarios: 1000 Tenga en cuenta que, de momento, no se puede descargar contenido de nuestra plataforma directamente en un dispositivo móvil (teléfono, iPod, iPad, tabletas ...). Necesitas descargar sus artículos en un PC o Mac y, a continuación, transferirlos a su dispositivo de forma normal. Estamos trabajando para permitir que las descargas directas a los dispositivos móviles, pero esto no es posible en la versión actual de la plataforma. Perdón por las molestias! NOTICE: Activation key must be used on a valid Steam account. Requires internet connection. About the game In Asian folklore it is said that when there's a funeral you don't sing, don't play, and most importantly Don't Disturb! In the traditionally timid and reserved cultures of Asia how do people approach and accept the idea of death? What is the afterlife? Don't Disturb is a single-player puzz… le adventure game with a beautiful and unique 2D style. The carefully crafted story explores the traditional Asian views on the afterlife and the underworld. You must explore this mysterious world as a dog, looking for its owner who has passed away. The dog will need to solve many puzzles and make it through unexpected encounters as it makes its way to the Bridge of Helplessness in search of its owner. On the way you will need to make decisions that will determine how the tale ends. 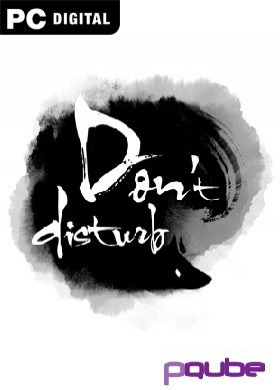 Don't Disturb is an unforgettable and gorgeous story that players will both relate to and be surprised by. Just remember... Don't Disturb!Key Features Explore the beautiful yet mysterious underworld Investigate otherworldly items to solve puzzles Converse with the underworld's denizens to complete tasks and learn tales System Requirements Windows - Minimum OS: Windows XP Processor: 1.4 GHz Memory: 512 MB RAM MB RAM Graphics: OpenGL 1.1 Capable Video with 512MB VRAM Storage: 400 MB available space Sound Card: Any	Mac - Minimum OS: Mac OS X 10.8 Processor: 1,7 GHz Dual-Core Intel Core i7 Prozessor Memory: 4 GB RAM Graphics: Intel HD Graphics 5000 Storage: 400 MB available space Linux - Minimum OS: Linux Ubuntu 12.04 or later, SteamOS 2.20 or later Processor: Intel Core 2 or AMD equivalent Memory: 1 GB RAM Graphics: OpenGL 2.0 compatible, 512 MB VRAM Storage: 400 MB available space 2016 Midnight Party. All Rights Reserved. Licensed to published by PQube Limited.